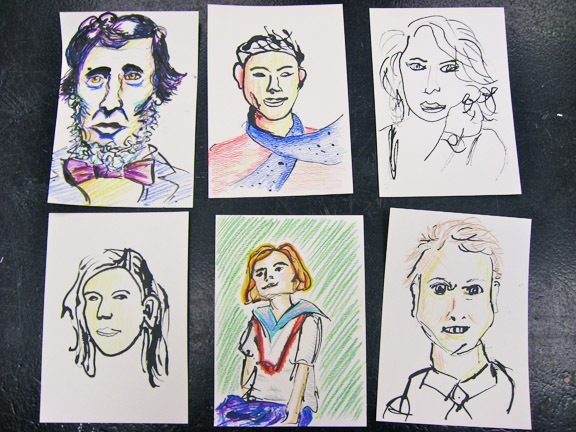 Students drew from a selected photo using an eyedropper filled with ink. Almost 200 students attended the International Baccaleureate Academy Day at Lincoln High School on Nov. 10th. In the Visual Art breakout sessions, participants learned about the IB Visual Art program with its full portfolio of personal work and its sketchbook requirements. Participants also were able to explore the expressive quality of their mark-making. 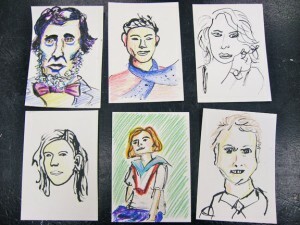 Using an eyedropper to deliver ink onto watercolor paper, students created drawings that had distinct personality. Colored pencils was also used to add emotive quality to the portrait.